In Nevada and all over the country, October is Archives Month. 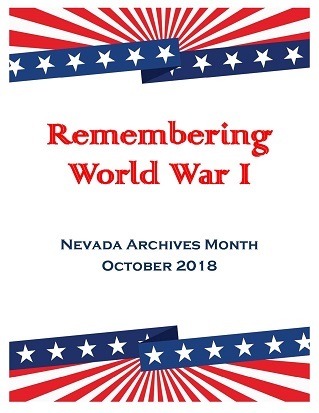 As Nevada celebrated another Archives Month, the State Archives assisted in the efforts to help Nevadans embrace our past as we look toward the future. This year's poster focused upon the 100th Anniversary of the end of World War I. The photographs are representative of materials from UNR, UNLV and the State Archives. Come into our research room to see the World War I exhibit and how the war affected Nevadans on the home front and those who enlisted. 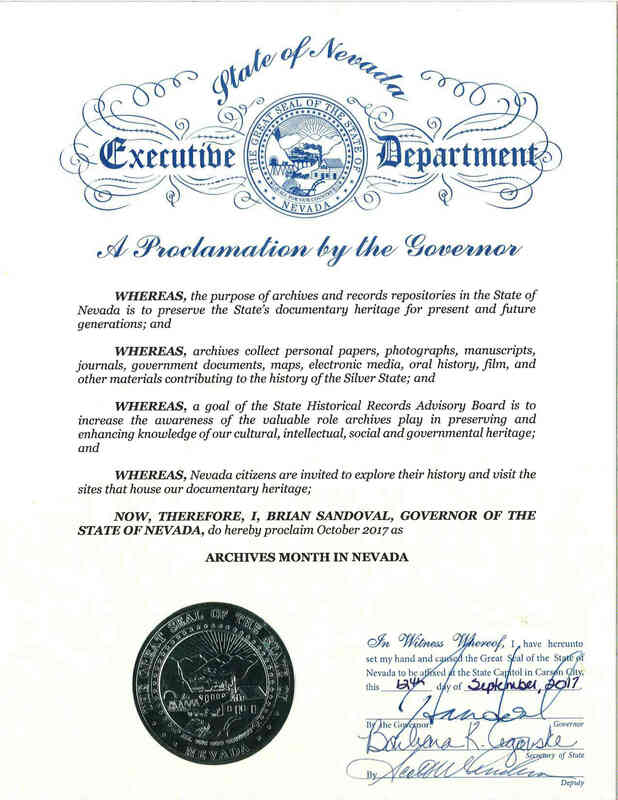 Governor Sandoval's proclamation for Archives Month, October 2017.